Over the past four decades, Alzheimer disease has become near synonymous with dementia and the amyloid/tau hypothesis as its dominant explanation. However, this monorail approach to etiology has failed to yield a single disease-modifying drug. Part of the explanation stems from the fact that most dementias in the elderly result from interactive Alzheimer and cerebrovascular pathologies. Stroke and dementia share the same risk factors and their control is associated with a decrease in stroke and some dementias. Additionally, intensive control of risk factors and enhancement of protective factors improve cognition. Moreover, anticoagulation of atrial fibrillation patients decreases their chance of developing dementia by 48%. Preliminary data suggest that treating blood pressure to a target of 120 mmHg systolic compared to a target of 140 mmHg decreases the chances of mild cognitive impairment by 19%. The Berlin Manifesto establishes the scientific bases of “preventing dementia by preventing stroke.” Enlarging our vista of dementia to include cerebrovascular disease offers the opportunity of preventing not only stroke, but some dementias, beginning now. For the past four decades, most of the focus has been on what is called “Alzheimer’s disease” and the targeting of amyloid and tau proteins in numerous clinical trials. Although so far, they have failed to yield a single disease-modifying drug; further clinical trials aimed at the same two proteins are planned, perhaps an example of the triumph of hope over experience. On the other hand, this concentrated effort on tau and amyloid has yielded a considerable understanding of the complexity of the dementia process on the shifting background of aging. However, it is the development in other fields that makes it feasible to begin preventing some dementias right now. Neurological disorders are now responsible for the largest number of disability-adjusted life years (DALYs) (a combined index of early mortality and years spent in disability). They now account for 10% of the global burden of disease. Within the neurological disorders, stroke accounts for 42% and dementia for 10% . It is probable that dementia is being underestimated, since in some parts of the world, patients with dementia never come to clinical attention, dementia being considered as an inevitable consequence of aging . Stroke and dementia often occur together, but they are studied apart. In the Canadian Study of Health and Aging of Canadians over the age of 65 years, it was found that among those who suffered a stroke, 64% had some cognitive impairment, while 25% of those with some cognitive impairment had suffered a stroke . Based on 12 studies of the incidence of dementia, comprising 1.3 million participants determined that a stroke increases the risk of developing dementia by 2.18 (95% confidence interval 1.90–2.50, p value 0.0001) . Stroke and dementia share the same treatable risk factors (Table 1) . What is less appreciated is that some risk factors accelerate the neurodegenerative process. Increased blood pressure increases amyloid deposition, especially in APoE4 carriers . Increased pulse pressure is associated with β-amyloid and tau CSF markers . Increased arterial stiffness is associated with increased β-amyloid deposition . Increased homocysteine levels are associated with higher tau deposition at autopsy . Rodrigue found individuals with the APoE4 allele and hypertension have the largest deposition of amyloid. However, when the hypertension is treated, the deposition is slowed. The good news is that stroke is 90% potentially preventable through the control of risk factors [10, 11]. The effects of air pollution on the risk of heart disease and stroke have been well established. More recently, dose-response risk of developing dementia depending on the degree of air pollution has been identified. In a Canadian study, it was found that proximity to major roads increased the risk proportionately . Hearing loss represents a risk for developing dementia . What remains uncertain is to what degree this results from social isolation, damage to the brain by noise, or represents an index of neuronal neurodegeneration as can be smell. Probably, all three occur. We have long known that head trauma represented a risk factor for developing dementia. What is new is that even mild concussion poses a risk. In a study of 178,779 American veterans from Afghanistan and Iraq, matched with the equal number of veterans who did not suffer traumatic brain injury, it was found that mild traumatic brain injury without loss of consciousness increased the risk of developing dementia by 2.36 . These findings should lead to a serious reexamination of sports practices such as head butting in soccer or collisions in contact sports such as American football and in hockey. Despite growing contrary evidence, we still insist in trying to fit patients within exclusionary categories such as “Alzheimer’s disease” or “vascular dementia.” As the Canadian rock group, Rush states in one of their songs …“You can bend perceptions, reality won’t budge.” It turns out that among the elderly, about ¼ have Alzheimer pathology (amyloid and tau protein depositions) but no cognitive impairment. Another ¼ have cerebrovascular disease, but no cognitive impairment. The two together double the chances of developing dementia . The remarkable fact is that half of the elderly have brain pathology, but no cognitive impairment, pointing to a largely unexplored area of resilience, i.e., the ability of the brain to compensate for pathology. In view of these and similar findings, one can refer to Alzheimer’s disease in the dominantly inherited types representing only 1% or 2% of the total population. In the elderly, it is more appropriate to refer to an “Alzheimer syndrome,” where the predominant pathology may be that of Alzheimer’s disease, but the brain also contains vascular and other pathologies. A similar phenomenon is seen in cerebrovascular disease. For each clinical stroke, there are 5 so-called silent strokes. When these subjects are examined closely, they have subtle neurological signs and often some cognitive impairment, particularly in processing speed . Apart from this, there may be inherited rare conditions such as CADASIL or cases of uncontrolled severe hypertension or multiple infarcts in strategic areas; however, true pure vascular dementia is rare. The term “vascular cognitive impairment” has been suggested [17, 18], i.e., any cognitive impairment caused by or associated with vascular factors. This is important because it is the vascular component that is potentially preventable and treatable. The ischemic score is able to identify this component reliably . The ischemic score has now been simplified to 5 questions not requiring a neurological examination . Advances in brain imaging, particularly in magnetic resonance imaging (MRI), has allowed detailing the range of vascular lesions that afflict the brain . “In vivo” imaging of amyloid has been around for some years and more recently, it has become possible to image tau depositions in the brain, the two main pathologies associated with the Alzheimer’s syndrome. The availability of ligands for activated microglia has shown that following a cerebral infarct that inflammation in the acute phase correlates better with cognitive status 6 months than the initial cognitive status itself . Rather than having broad categories that obscure similarities and differences, it is recommended that all studies in cognitive impairment involve a core number of data points that can be arranged in provisional criteria . As more knowledge is gained, these can be refined. Having all the relevant component parts of the clinical profile, it is possible to study individual mechanisms in patients so that they can be targeted on an individual basis, rather than lumping patients that may have different pathologies progressing at different rates. Advancing technologies make it possible to develop personalized clinical trials. The association of vascular disease and dementia is strong. A recent study in three French cities showed a direct relationship between 7 vascular risk factors and the likelihood of developing dementia. Each lacking risk factor decreased the hazard ratio by about 10% . In the year 2000, the Province of Ontario in Canada (14 million) introduced a stroke strategy. This consisted of building stroke units, stroke prevention clinics, and undertaking campaigns to control risk factors. There was evidence of the improvement of the outcomes after stroke  and also even in patients with transient ischemic attacks (TIAs). For TIA patients attending a stroke prevention clinic compared to usual care, the risk of dying that year was diminished by 26% . Knowing that a stroke more than doubles the chances of dementia [4, 27], it was then shown that over a 12-year period, a decrease of 32% in the incidence of stroke and a 7% decrease in the incidence of dementia, suggesting that by preventing stroke, we can begin preventing some dementias . Studies are underway to compare the incidence of stroke and dementia in the provinces that have and do not have a stroke strategy to further confirm the association, complemented by more refined data obtainable from the Canadian Longitudinal Study of Aging that will have its first results early in 2019. 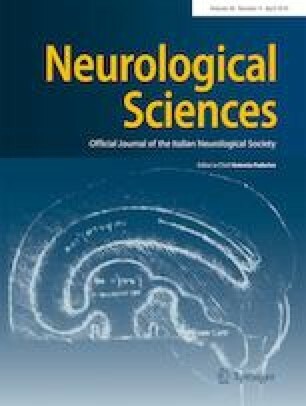 The FINGER Trial showed for the first time that randomizing a cohort of 1260 subjects 60–77 years old at risk of developing dementia were randomized into two groups: one usual care, largely consisting of advice and one group that could be called intensive care, meaning that they had programs of exercise, cognitive stimulation, nutritional advice, and opportunities for social interaction. After 2 years, cognition improved in both groups, but significantly more in the intensive intervention group . Similar studies are planned in the USA, Singapore, Canada, and other countries. A Swedish registry involving 444,106 patients over the period 2006 to 2014 without prior dementia showed that a 48% decrease in dementia risk in the group that were anticoagulated compared to propensity score matched individuals who were not . It is an intriguing open question as to what the mechanisms are. It has been established that multiple infarcts either clinical or silent can contribute to this, but a relationship remains even after the emboli are accounted for. It has been suspected for a long time that the ideal blood pressure for the brain is lower than currently envisaged. In the SPRINT study, 9361 subjects at risk of vascular disease were randomized to a target blood pressure of 140 mmHg or a target systolic blood pressure of 120 mmHg. After 3.26 years of median follow-up, the study was stopped because the outcomes were in favor of the lower targeted group. A sub-study called SPRINT MIND continued to follow the subjects for an additional 3 years and found that the likelihood of developing mild cognitive impairment was decreased by 19%. These results were presented at the meeting of the Alzheimer’s Association International Conference in July 2018. It would be premature to implement these findings since they have not been published or discussed and there are at least experimental reasons for advising caution. In transgenic mice, expressing APoE4 alleles compared to APoE4 mice showed that the vascular density of the brain in the APoE4 mice was less, as was the cerebral blood flow. With hypotension, the APoE4 mice suffered from hypoxia, corpus callosum damage, and decreased cognition . In 2006, a stroke proclamation was launched in association with World Stroke Day. More recently, a proclamation aimed at the public and policy makers was updated to include potentially preventable dementias . This proclamation calls for the joint prevention that has been endorsed by all the major brain organizations, including Alzheimer Disease International, the European Brain Council, and the European Academy of Neurology. More recently, the World Heart Federation, the World Stroke Organization, and the World Hypertension League formed an alliance for brain health summarized in a recent article . During the World Health Summit in Berlin held on October 13, 2018, a session was devoted to “dementia prevention by stroke prevention.” The summit is patronized by Chancellor Angela Merkel of Germany, President Emmanuel Macron of France, and President Jean-Claude Juncker of the European Commission. Prior to the session, there was a 1-day satellite that brought together all the major investigators on the topic of the relationship of vascular disease and neurodegeneration and more specifically, that of preventing some dementias by preventing stroke. An article will be forthcoming in Alzheimer’s and Dementia summarizing the scientific evidence. A translation will be provided by the use of policy makers and the public, and this will be publicized through the organizations endorsing the Proclamation. The practical aspects of this approach are contained in an edited book entitled Treatable and potentially preventable dementias . Neurological disorders represent the leading cause of DALY’s. More than half result from stroke and dementia—both being preventable to different degrees. We need new vistas and approaches to grasp the opportunity of preventing stroke and some dementias, beginning now. This article is based on a lecture delivered at the XLIX Congresso Societa Italian di Neurologia. Rome, Italy, October 27, 2018. No human or animals were involved. Not applicable. This is not a study.